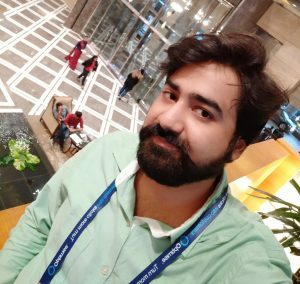 Hello friends, Today I will share a method on how to setup iPhone Automatic text response. You can create iPhone auto response text while driving or doing some important work. A person will get an automatic response to your pre-typed message. You don’t need to download an app. Use iPhone inbuilt feature to send automated text response. Users can send unlimited auto text response. Does it ever happen to you that someone calls you when you are in a situation where you can’t pick up the phone? It’s not like you don’t want to pick it up. It’s just that you just can’t pick it up. Maybe you are in an interview, or at a show where the music is too loud, or while driving. Thankfully, iOS comes with a pre-loaded savior for these kinds of situations. iPhone Automatic Text Response is a feature that allows the users to send a text message to their family and friends. It helps in letting them know that you are unable to answer their call for some reasons. You can add up to three customized automatic text response messages. Whether you are driving, or in a meeting, or having dinner, you can let the caller know that you can’t pick up their call right now. We have put together a tutorial that will show you how to setup iPhone automatic text response and how to create customized automatic text messages. But first, let’s us explain to new iOS users what auto text answer is. One just can’t answer every phone call he gets. But rejecting a call from family or friend is also rude. To solve this problem, Apple added automatic text response feature to iOS. When you receive a call, look carefully at the options on your screen. You can see three possibilities; slide Left/Right to Answer/Reject, Remind Me Later, and a Text icon. You can use the auto-response feature by tapping on the Text icon. Now you can choose a reply from three default messages that appear on your screen. However, if you don’t like the default messages provided by Apple you can also customize your auto-response messages. This method is safe and secure to set up. 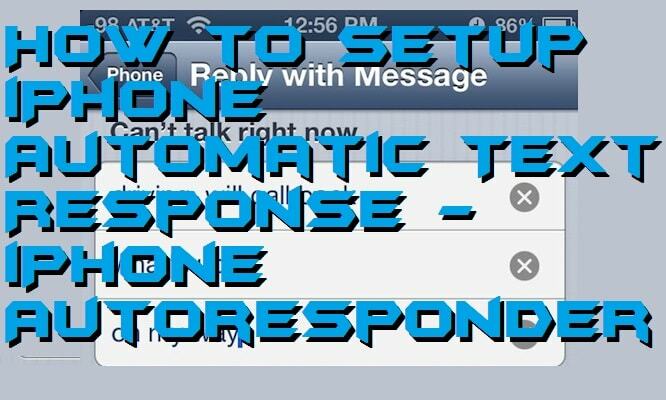 You can use this method to setup iPhone Automatic text response. It will even help you to make an auto-reply using your message. A user will get notified of your response message. And later you can reply to that specific person. You can even add your text for automatic text response. It is beneficial while you are doing some critical work or driving, etc. Go to Settings and then open Phone option. Tap on Respond with Text. Now you will see three pre-loaded text responses. These are default replies set up by Apply. You can repeat the above step for all three messages if you want. Tap on the Phone icon in the top left corner of your screen to save these messages. It is the best way to enable iPhone automatic text response. In just 5 steps you can setup iPhone Automatic text response. It will be an automatic process. So, while you are driving or in some important work. The person tries to contact you will get an instant text response, which you are busy. You can too try this method on your iPhone and do share your experience in the comments section below. And don’t forget to share this article with your friends.